Carmex Lip Balm adds a clear, odorless mineral oil to their classic Carmex formula to make it squeezable so chapped lips get silky-smooth treatment. Soothing lip care with a travel smart twist lid. Two natural ingredients—camphor and menthol—give Carmex a cooling effect and help relieve the irritation of rough, chapped lips. Carmex prevents dry, chapped lips. Soothes dry rough cracked skin, cold sores and protects your lips from the sun. 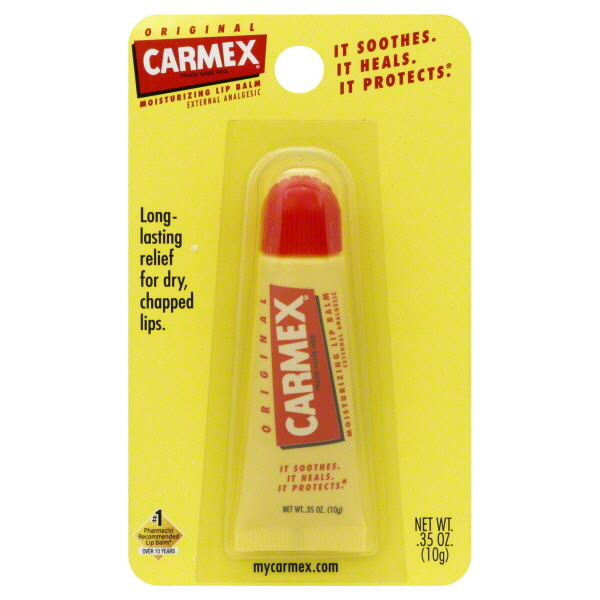 Carmex Moisturizing Lip Products in Bulk Quantities.